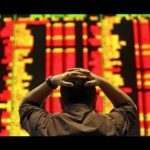 Despite contrasting investment philosophies …. Porinju Veliyath is known to be a man for the masses while Prof Sanjay Bakshi, the authority on value investing, is a man for the classes. While the former appeals to the hoi polloi, the latter appeals to the cognoscenti. The two stalwarts are known to have opposing views on stocks. While Porinju has a soft corner for troubled stocks with dubious corporate governance standards quoting at rock-bottom valuations, the Prof does not touch a stock which does not pass his stringent tests of quality. While the Prof continues to be a stickler for high quality, Porinju has relaxed his stance a bit. 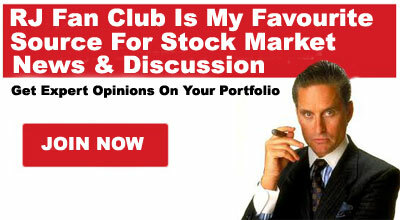 He is now veering around to the view that there is merit in buying blue chip stocks with pristine credentials. 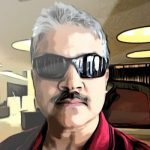 I have conducted an in-depth analysis of the circumstances which have led to a change in Porinju’s stance. The remarkable aspect is that despite their contrasting views on stocks, both stalwarts have snared several multibagger stocks in the course of their illustrious careers and generated great fortune for themselves and their band of loyal followers. In an earlier piece, I drew attention to the fact that Narayana Murthy, the visionary founder of Infosys, the blue chip tech behemoth, has taken a fancy for Wonderla Holidays, the small-cap (Rs. 2250 crore) stock which is engaged in running amusement parks across the Country. I pointed out that Catamaran Management Services, Murthy’s investment arm, had scooped up a chunk of 437,539 shares of Wonderla Holidays at Rs. 386.50 per share. 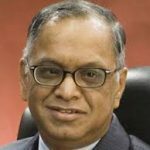 I opined that this is a significant development because Narayana Murthy is highly revered for his astute understanding of business and corporate matters. 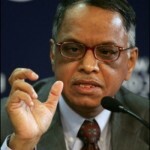 Murthy is also an astute investor in his own right with several multibagger stock picks to his credit. Narayana Murthy has bought a further chunk of 127,765 shares of Wonderla and taken the holding of Catamaran to 5,65,304 shares as of 30th September 2016. Now, the significant development is that Valuequest India Moat Fund Ltd, Prof Sanjay Bakshi’s PMS fund, has bought a treasure trove of 9,29,039 shares of Wonderla Holidays in the July to September 2016 quarter. The investment is worth Rs. 37 crore at the CMP of Rs. 398. The Prof’s acquisition of such a significant stake in Wonderla Holidays confirms the initial hypothesis that the Company is investment-worthy owing to its top-quality management, high RoE, “moat” and reasonable valuations. It is notable that the Prof has a bigger stake in Wonderla than that of Narayana Murthy. Porinju has also heaped rich praise on Wonderla Holidays. He called it “very high quality” and “excellent balance sheet company”. He emphasized that the Company has “ a fantastic business model”. In my earlier piece, I have meticulously drawn attention to the research reports of leading experts such as Stalwart Advisors, Sharekhan, Axis Capital on why Wonderla Holidays is a good investment opportunity. Axis Direct has also issued a crisp report on the stock in which a buy recommendation is given on the basis that “A sustainable business model, run by excellent management, generating cash flows for growth, with high RoE and moderate valuation is a perfect recipe for portfolio investment”. 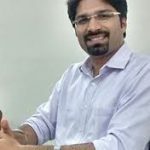 The good luck charm of the three eminent stock market experts is likely to make Axis Direct’s words of wisdom come true namely that a sustainable business model, run by excellent management, generating cash flows for growth, with high RoE and moderate valuation makes Wonderla a perfect recipe for portfolio investment! Currently, world travels to Hong Kong with family and stay at Disney, wish India will also have some traffic from other countries and stay at Adlabs or Wonderla. I have purchased wonderla Holidays at the price of Rs.410. Is it still worth to hold the stock?